If I told you that you have this 7-year-old little girl running your whole life, would everything start to make a little more sense? She has all these interpretations about how the world works by what she experienced as a little girl. She received messages and her child-like mind ran with them accepting them as truth. She watched her parent’s relationship and formed beliefs about love and marriage. She listened to what her peers said about her and the way they acted towards her and formed beliefs about herself. She found her place in her family and accepted where she thought she belonged. As your little girl got older, these beliefs began playing out in her adult life. This is how you attracted the opposite of what you wanted. Thank you. Thank you for protecting us by acting tough and unaffected. Thank you for forgetting about some of our needs so that we didn’t get hurt. So that we weren’t in so much pain. I know you did this to help us build a wall that wouldn’t allow pain to enter. I know you didn’t realize by doing this, you would attract emotionally unavailable men for us as we got older and block true love. You did the best you could with what you knew and I am so grateful for how far you got us. Thank you for being the person we could always count on. Thank you for accepting that we were not enough growing up because it helped to empower us to be enough. It was the driving force for a long time and it got us very far. We managed to get three college degrees and create two amazing careers. There were times in all of this where you wanted to take over again, though. I heard you panic. I felt you scream. I heard your scared little voice tell us that it would never work and people would never take us seriously. At first I was mad at you and then I understood you were just scared because of past assumptions you’ve made. At first I was mad at you and then I understood you were just scared because of past assumptions you’ve made. You accepted your place as a little girl and it scared the crap out of you to be super successful because you had no idea how that could even be possible. You thought it was for everyone else except us so you wanted so desperately for me to flee back to safety. To familiar. To status quo. So that we wouldn’t get hurt. This time, I listened to what you had to say, I even cried. But, then I gave you a pep talk. I told you that just because it was like this in the past, it doesn’t have to be our future too. I told you how awesome we were and told you what you needed to hear and feel as a little girl. You instantly calmed down once I revisited you and reassured you that it would all be perfectly ok. I told you that I could take it from here and asked you to trust me. And you did. Thank you. Thank you for creating a love that wasn’t ideal when I was 19 so that I would eventually learn that you were still here with me. Thank you for giving me the power and determination to get the strength to follow my heart and get a divorce 16 years later. It was your strength and determination as a little girl that I was able to tap into. You helped me to connect back with you. You helped me heal you, which in turn changed who I am today. You’ve allowed me to find the love of my life, create our dream career, and live out a dream life together. I couldn’t have been this person without you. I wouldn’t be helping women all over the world heal their inner little ladies without you showing me you needed to be healed first. Through me healing and unconditionally loving you, I now show other women how to heal themselves to create the love they so desire and deserve. I thank you for allowing me to once again find me through you. We have integrated and become one. I no longer abandon you as I have realized people only abandoned me in the past because I was abandoning myself. I was abandoning you. By me showing up for us, everyone now shows up for us too. I couldn’t have done this without first feeling the opposite. I couldn’t have felt as worthy as I do today. For that, I thank you for being you, which allowed us to be we. Nicole Amaturo is a Mindset Coach who helps women all over the world uncover and heal blocks inhibiting them from attracting the love they desire and deserve. Nicole holds a B.A. in Education and Psychology, as well as an M.A. in Holistic Health from Georgian Court University. 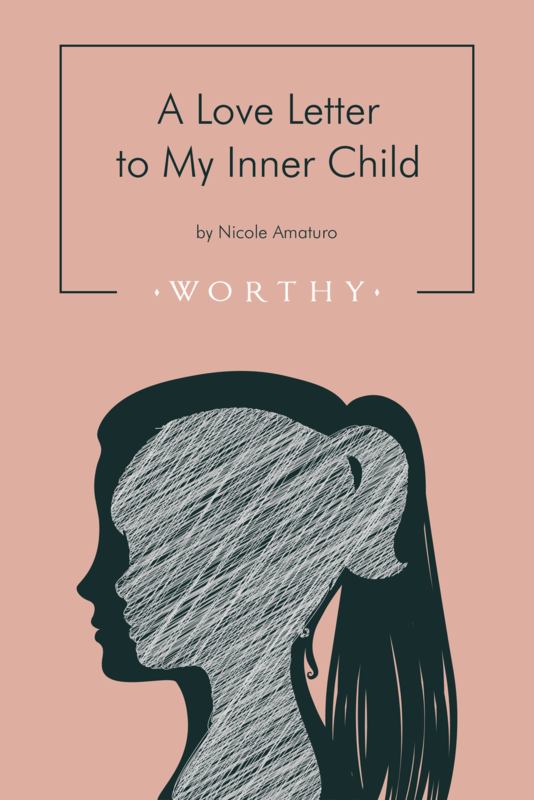 Nicole is a divorced mom of three on a mission to share her lessons in self-love and worth as the founder of The Free Life with Nicole Amaturo. She is a certified Infinite Possibilities trainer by best-selling author, Mike Dooley, in his program on The Art of Living Your Dreams. Nicole is also a graduate of Gabrielle Bernstein’s Spirit Junkie Masterclass. Writing is Nicole’s second love and is an active contributor to the Worthy blog. Learn more about Nicole here. 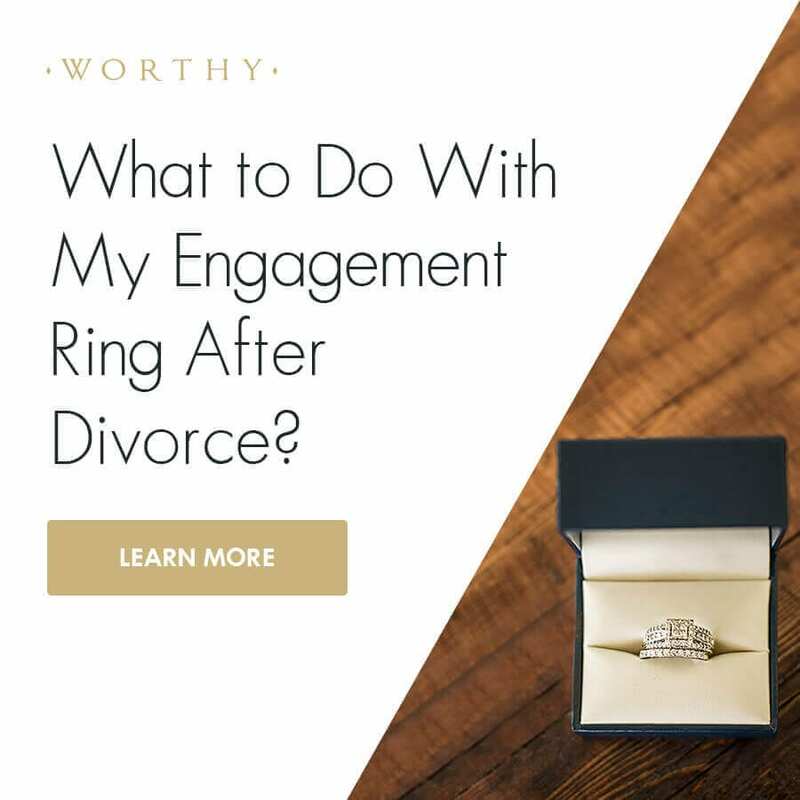 Yes, Dating After Divorce Can Be Scary. And That’s Okay.